It is with deep sadness that Wind Concerns Ontario announces the passing of one of its staunchest members and Board member, Stephana Johnston. Stephana had lived for years among the wind turbines in the Cultus-Clear Creek-Frogmore wind power project, developed by AIM PowerGen, and was one of the forst people in Ontario to experience symptoms from exposure to the vibration and noise emissions. 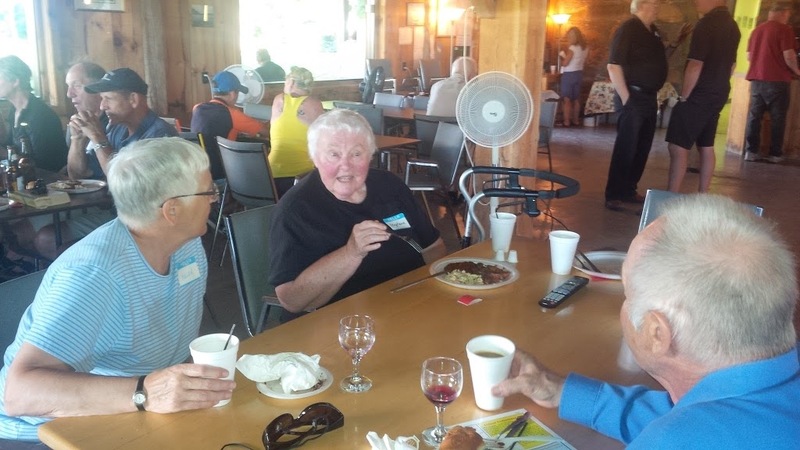 She presented information countless times to municipal councils, attended appeals before the Environmental Review Tribunal, and drove long distances to communities across Ontario to support people in their fight against the unwanted power projects. She was featured in numerous news articles including one published by the Globe and Mail. As soon as we receive the formal notice from the family, we will publish it here. I receive this with sadness that Stephana was not vindicated during her life by a government fulfilling its mandate to protect people. It certainly let Stephana and others down. I had the pleasure to present with Stephana twice and she was as graceful, articulate and caring as they come. Much strength to her family. I will miss her, but remember. Thanks for sharing this sad news. Sad. Stephana was a trooper. I first met her when she travelled to Picton to attend a rally/protest when the fight about Ostrander was in the works. She was instrumental in raising awareness about health problems related to industrial wind turbines and did he best to make her views known without being irate. I would guess she was a great school teacher. Stephana was a fiercely independent individual who inspired courage in others to fight against ignorance and corruption. your fight for justice and that indomitable spirit that inspired many. Your story will not go untold or be forgotten. You are in our thoughts and prayers. Words can’t describe the grief I feel at your passing. And the life you had to live in your final years. Shame, Shame, Shame on the Liberal Government, the Ministry of Environment and Climate Change, and those who support the ridiculous policy for Industrial Wind Turbines. You inflicted torture on an elderly individual. I really don’t know how you can sleep at night. Eventually we are all going to meet our maker and what will you say when you are asked about what you did and did not do for your fellow man? How many more will die before justice is done? This struggle will continue until rightness is served. Look down on us Stephana and send us your continued support. We need you now as much as we always have. You are in my heart dear friend. Stephana was a great lady who asked a lot of questions and wanted answers. May she rest in peace! May you RIP Stephana. You are missed! Best wishes to Stephana’s family and everyone who had the pleasure to meet her. 2018 needs to be the year that all turbines stop. No excuses. No compromise. The time for politeness and following procedure is over. The assault by infrasound is a matter of life or death for many rural people living in the vicinity of industrial wind turbines. The government is well aware of the harm low frequency noise poses on human health. The government chooses to play ingnorant as many laws have been broken and much money is being made. Would it be reasonable to consider the scenario premeditated murder? Being polite when one is being attacked is not very bright. Yes Richard, it’s time; the gloves are off.